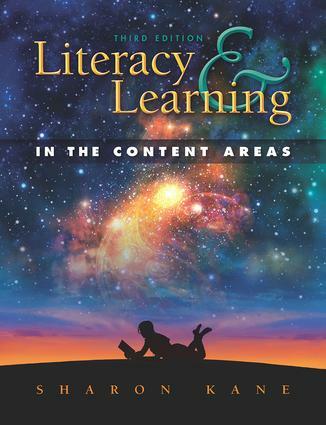 The 3rd Edition of Literacy & Learning in the Content Areas helps readers build the knowledge, motivation, tools, and confidence they need as they integrate literacy into their middle and high school content area classrooms. Its unique approach to teaching content area literacy actively engages preservice and practicing teachers in reading and writing and the very activities that they will use to teach literacy to their own studentsin middle and high school classrooms . Rather than passively learning about strategies for incorporating content area literacy activities, readers get hands-on experience in such techniques as mapping/webbing, anticipation guides, booktalks, class websites, and journal writing and reflection. Readers also learn how to integrate children's and young adult literature, primary sources, biographies, essays, poetry, and online content, communities, and websites into their classrooms. Each chapter offers concrete teaching examples and practical suggestions to help make literacy relevant to students' content area learning. Author Sharon Kane demonstrates how relevant reading, writing, speaking, listening, and visual learning activities can improve learning in content area subjects and at the same time help readers meet national content knowledge standards and benchmarks.